"It's necessary to strengthen the reconnaissance units. There will be a competition, a selection, we will see which is acceptable for us and our climate, taking into account the wind and the cold. There have been UAVs which took off, flew 20 meters and crashed because it was so cold..."
According to the general-major, in 2014 after the selection of the supplier country the UAVs will enter service in the armed reconnaissance units of the armed forces of Kazakhstan. "Most likely, next year they will enter service. Where there is reconnaissance, there will be UAVs," he noted. The Kazakh Ministry of Defense (MoD) will purchase 10 Irkut-10 unmanned reconnaissance aircraft systems (UAS) from Irkut Corporation, Lenta.ru reports. Irkut-10 is intended for day-and-night surveillance and reconnaissance. Each Irkut-10 unmanned aircraft system includes 2 UAVs and ground control and maintenance facilities. Each UAV has a maximum endurance of 2 hours and a radius of 70 km. UAV’s maximum speed is 120 km/h. The vehicle’s wing span is 2 m, maximum takeoff weight is 8.5 kg (including maximum payload of 1.5 kg). 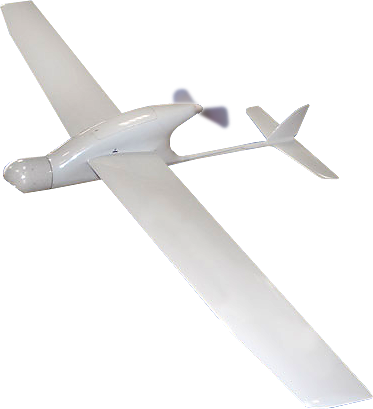 Irkut-3 UAS is also formed by two UAVs and control and maintenance facilities. This UAV is relatively compact: it has a wing span of 2 m and takeoff weight of only 3 kg. Its radius is 15 km and its endurance is 75 minutes. The vehicle’s maximum speed is 90 km/h. Certainly, their origin in Irkutsk would seem to bode well for cold-weather capability. These sorts of small reconnaissance drones are pretty de rigeur for militaries these days; indeed, the remarkable thing is that it seems to have taken this long for Kazakhstan to get them into service.